Providing an outlet for anonymous reporting of incidents. 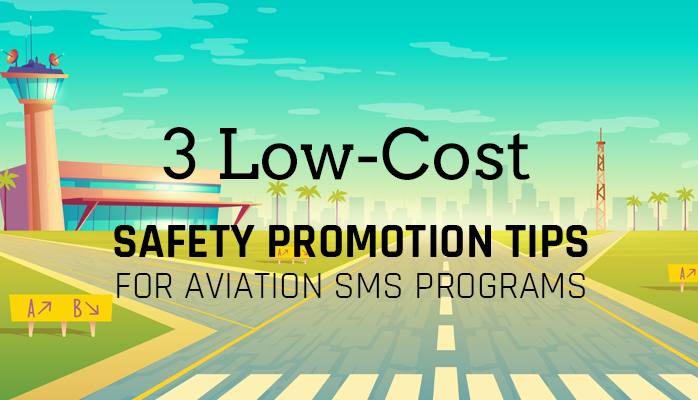 These are just a few, inexpensive ways to promote safety at flight schools or any other aviation service provider. Safety promotion is about communication and training. Employees must be trained in hazard identification and the organization's safety reporting processes. Otherwise, the aviation safety management system (SMS) will not work as designed. When safety is one of the building blocks of flight training from day one, it becomes second nature to pilots as time goes on. Peer influence has a huge impact on an individual as they form their own system of safe practices. Sometimes an individual doesn’t feel comfortable sharing an experience with their instructor or even their fellow pilots, so providing an outlet for them to share anonymously would be very beneficial for everyone to see and benefit from. When it comes to a human life, there is no real price you can put on safety. Developing hands-on, safety-specific training is great place to start influencing good habits in flight school students from the beginning. The Rule of Primacy says that when learning something new, the first idea presented will be nearly unshakable. Effective aviation safety training doesn't have to be expensive, such as the aviation SMS training courses we commonly see online. Most of our most important lessons in life came with no price tag. Safety becomes the core component when solid safety practices become part of normal operation. Each particular flight school’s SOP (Standard Operating Procedures) should be readily available for each student and checklist usage should be essential and mandatory. One of the best ways to influence a group of people is through their peers. When pilots encourage each other to err on the side of safety rather than pushing the limits, the outcome is the successful mitigation of avoidable risks. As a Commercial pilot training to become a CFI, I look back on my training and remember the bits of advice I learned from my peers much more than the warnings I received in the classroom. This is a difficult environment to create because it must be authentic to leave an impact. One thing that can be created is an open forum for students training to share their experiences and pieces of wisdom with one another without the fear of consequences. 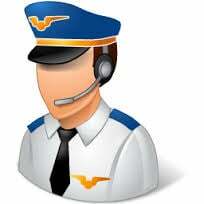 These forums may take informal, online chat rooms available for all flight school's students. In the training environment there is a lot group learning taking place, and it is the duty of CFI’s and teachers to create an environment in which their students are encouraged to share with each other with the goal of becoming better, safer pilots. Experience sharing concepts carry past the training environment into the professional one. There are a lot of pressures placed on pilots by management and passengers to complete flights in every condition and keep schedules, but we know ourselves and our peers much better than those on the outside. Sometimes the encouragement to remain safe isn’t going to come from the top down—it has to come from within. A situation one pilot gets into is just as likely to happen to another pilot. Learning from the mistakes of our comrades is very profitable for the learning process. A best practice is to have a shared "lessons learned library" accessible by all pilots or flight school students. Many flight schools don’t have the resources to use on safety programs, but there are many ways to enhance safety performance that are absolutely free. We can provide a safe, anonymous place for learning pilots to share their mistakes. All of these things carry past the training environment into the professional world. When safety can become second nature, we can avoid pilots who take unnecessary risks. Safety begins from day one and lasts until your last flight. Public hazard reporting for clients, vendors and contractors. If your company does not have an effective safety reporting system, your SMS will not evolve into a safety performance asset. There are many low-cost, commercially available SMS databases that will save your company time and money managing the SMS documentation requirements. An SMS database not only provides organizations the means to store SMS documentation, but also offers your company industry-approved and tested risk management workflows. 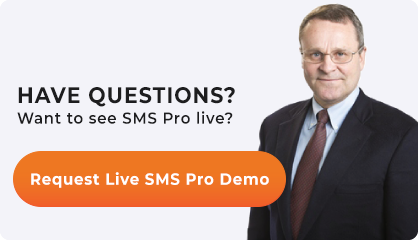 These pre-defined workflows save you time and considerable energy when implementing your SMS. Server upgrades, patches and technical support. Since 2007, SMS Pro has been working with aviation service providers around the world. Let's become SMS partners.